Anthropology is an ambitious intellectual venture that examines the origin, development and organization of humans from both a biological and behavioral perspective. As such, Anthropology is arguably the most comprehensive discipline to examine the framework of human existence. At Santa Monica College, we are committed to developing an Anthropology Program that not only introduces non-majors to the enormous breadth of anthropological inquiry, but also prepares interested students for a career within the academic discipline. We believe that our diversified department provides the needed foundation to achieve this goal. 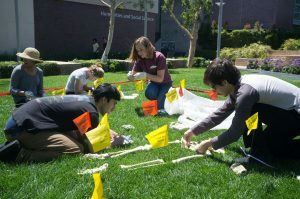 In fact, Santa Monica College is recognized throughout the academic community as a leader in anthropological instruction.